Members of the Massachusetts field hockey team hugged at midfield, relishing in the team’s 4-3 upset of No. 9 Iowa on Friday, and forgetting about its 3-2 overtime loss to Boston University in Game 1 of the UMass Invitational just a day earlier. The No.17 Minutewomen (2-1) used a suffocating offensive press to overwhelm Hawkeye goalie Kathleen McGraw from all sides of the cage with freshman Kara Charochak scoring her first career goal and defender Jaime Bourazeris scoring her team-leading second goal of the season. 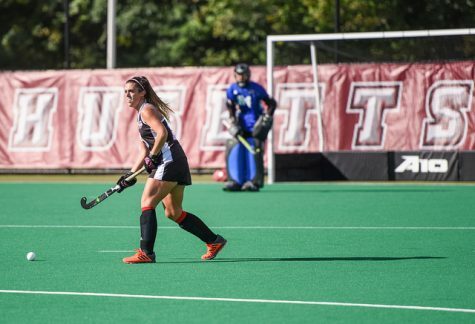 Sowry’s younger players played an integral role in the win, starting with Charochak, who struck first for the Minutewomen with a rebound off of the Minutewomen’s first penalty corner of the game. 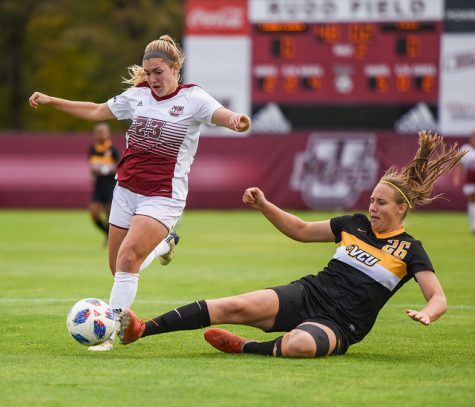 The goal against such a quality opponent energized UMass and allowed midfielder Kim Young to feed off that energy to disrupt Iowa’s first penalty corner and push the ball out of the Minutewomen’s striking circle. The Hawkeyes (0-3) utilized 11 penalty corners and 18 shots to pepper goalkeeper Alesha Widdall, who made a season-high eight saves on the day. Iowa notched 38 scores in the second half of its games in 2008, and Saturday was no different. Widdall made seven saves off 12 Hawkeye shots in the second half alone. 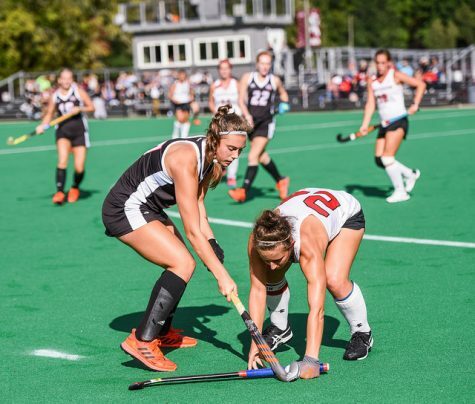 She noted that Iowa used many different strategies on its penalty corners and that she directed her defense to hold the middle of the net and push the opposition to the outside of the field. Senior midfielder Cher King aided the encumbered forward line late in the first half with a breakaway at midfield deep into the Iowa scoring circle. She then banked it off the left side of the backboard for her first goal of the season, tying the game at two going into halftime. 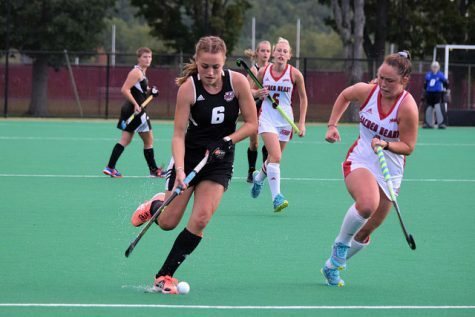 Bourazeris padded the lead on UMass’ first penalty corner of the half when freshman midfielder Kate Heineman bounced a shot off the pad of McGraw and Bourazeris sent in the rebound to take a 3-2 lead that the Minutewomen never relinquished. Heineman looks to be a consistent starter for Sowry and her advanced perspective on the game can only help her. 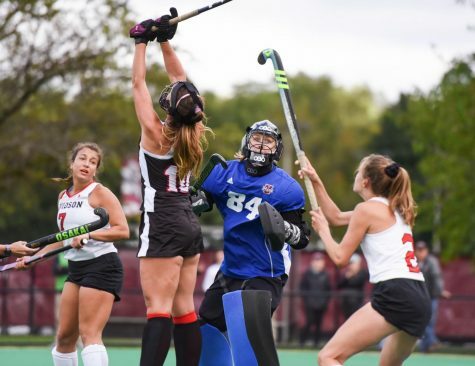 When UMass tries too hard to rush the goal, it gives the opposition opportunities to take the game over – like the Terriers’ Nikki Lloyd did on Friday. 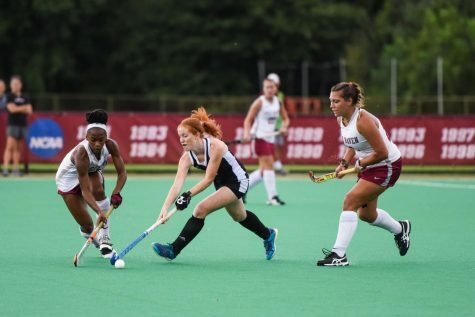 The Minutewomen had to rely on scores from Bourazeris and defender Makaela Potts and with the UMass defense acting primarily on offense, Lloyd found multiple holes in the scoring circle and registered a hat trick on the day. 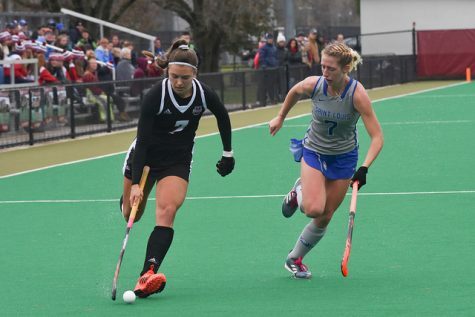 The loss was particularly devastating because when the two teams played in 7-on-7 overtime rules, Potts tried to chase down Lloyd on a breakaway and inadvertently tripped her, sending Lloyd hard to the turf. Potts subsequently received a yellow card and exited the game. 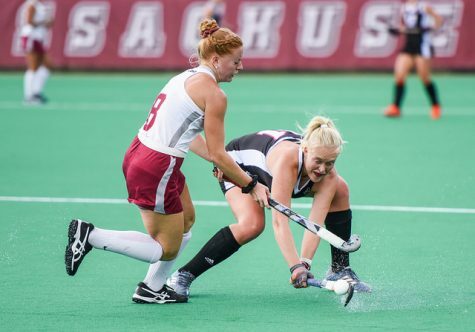 While UMass played shorthanded, Lloyd regrouped from the fall and returned to the game to score the golden goal. 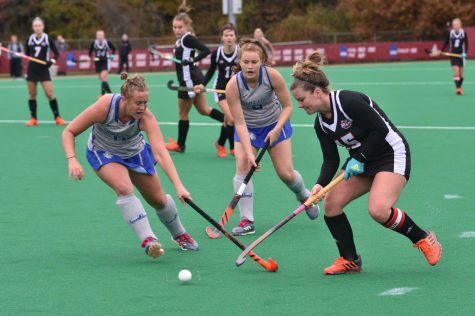 After the loss, Sowry told her players in practice that preparation meets opportunity. 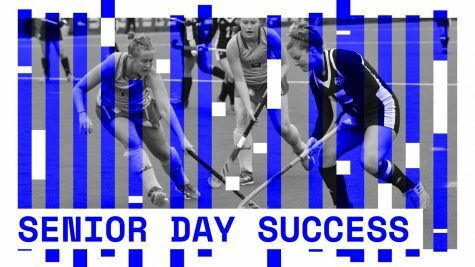 The Minutewomen put her words into action and capitalized on the few opportunities given to them by the Hawkeyes to earn the win, and will continue to use these words when UMass goes on the road to take on Albany and James Madison next weekend.